The finish that is chosen should correspond to the room’s purpose. Don’t be shy about using a shiny semi-gloss…its more durable and moisture-resistant than flat or matte paints making it ideal for bathrooms and the kitchen. Flat and matte finishes are a better option for high-traffic areas like hallways and kids’ rooms since they allow for easier touchups. Pay close attention to the other elements of the room such as countertops, floors, cabinets, and the fireplace. For example, a warm mahogany hardwood might look strange when paired with a cool grey paint. 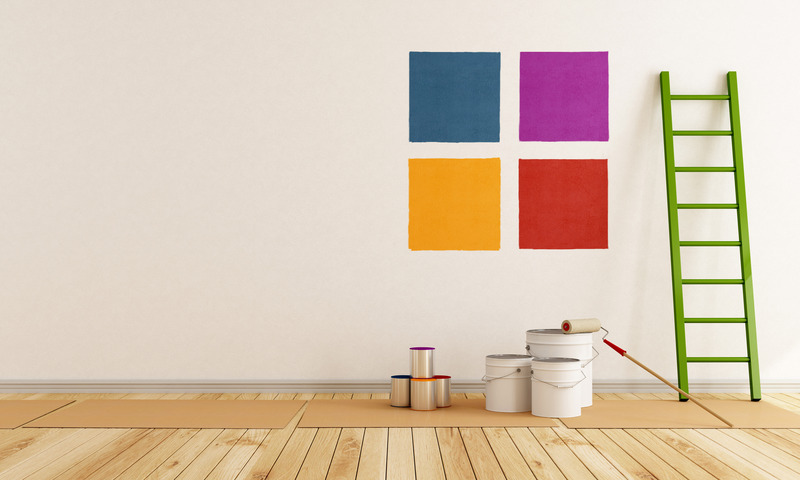 Ignoring the ceiling when repainting can make the room seem dreary and dirty. Whether you pick a white or a bright color, painting it properly will give you sharp edges across the top and can make wall color pop. Adding an accent color to a wall is a popular move, but homeowners should make sure the effect isn’t bizarre. Accent walls are supposed to attract the eye to beautiful areas of the home, like the dining room or fireplace. The accent wall color should work with the overall color scheme of the room or the house. A paint that is to bright or to bold may be a turnoff to some buyers.